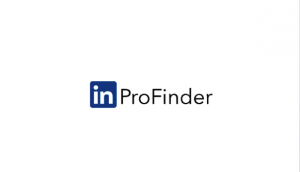 LinkedIn introduced ProFinder nationally. This lead generator covers more than 140 service areas. It was conceived as a result of the growth of the platform – up 50% over the last 5 years – and the need to connect consumers with independent service providers. Any freelance professional with a good profile should register on ProFinder. What is it? ProFinder connects top freelance professionals with high quality leads. How does it work? A person makes a request on Profinder and LinkedIn matches the person to someone who provides the expertise needed. When a request is made, LinkedIn will send an email with the request. How do I answer the request? You respond with a short proposal. Once you do that, the person inquiring will have access to your full profile. Is there a cost? Not at the moment. It’s another reason to try it out now. Who knows, there may be some accounts that are grandfathered into the system and will have access to ProFinder without cost. What kind of services are needed? 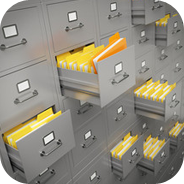 There is a list of more than 15 service categories, which cover many industries – including website development, IT services, finance, marketing, real estate, accounting, wellness, etc. How do I register? Click on this link and read more about the service – https://www.linkedin.com/profinder/pros. You can register on this page also. If you need help creating a better profile on LinkedIn, give Make It Count Marketing a call at 301-467-2501. We can help you with that!